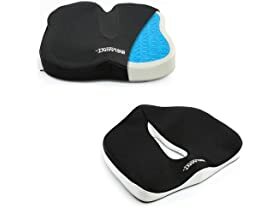 This shoulder massager comes with 4 big nodes and 4 small nodes, which provide deep tissue massages on your neck, shoulders, upper back, lower back, waist, foot, tights, calves, legs, feet and arms - helping your full body parts to release stress, relieve sore muscles, and help you relax. 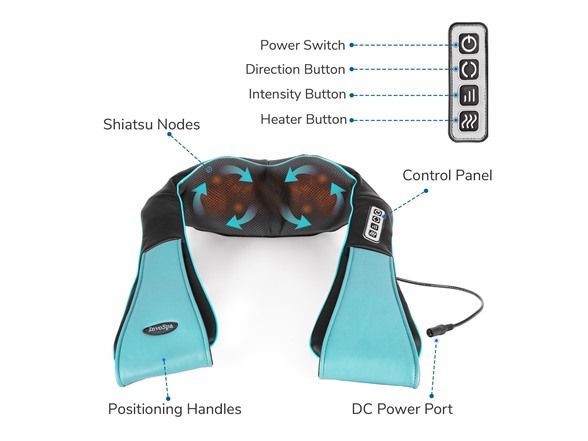 Two Massage Directions – built in a Bi-directional movement control to mimic the motion of in-person massage experience. 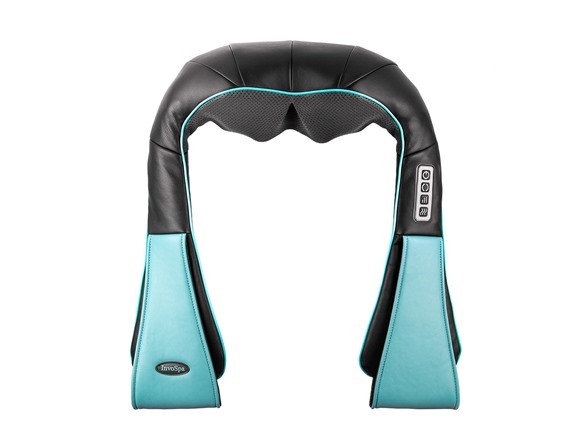 This 3D shiatsu massager will auto-reverse each minute for better distribution of massage effects. 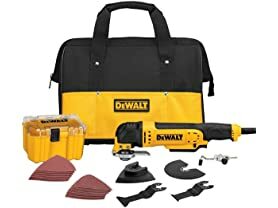 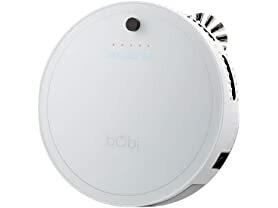 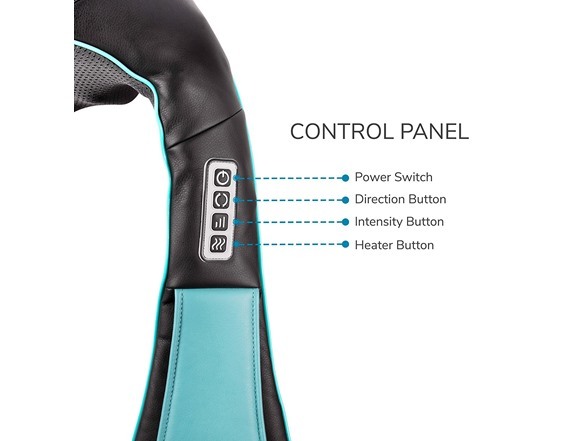 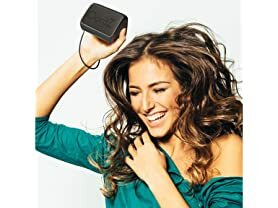 Portable and Durable – This neck and back massager includes a wall power adapter and a car charger, so you can have an electric self massage in your Home, office or car when you are traveling. 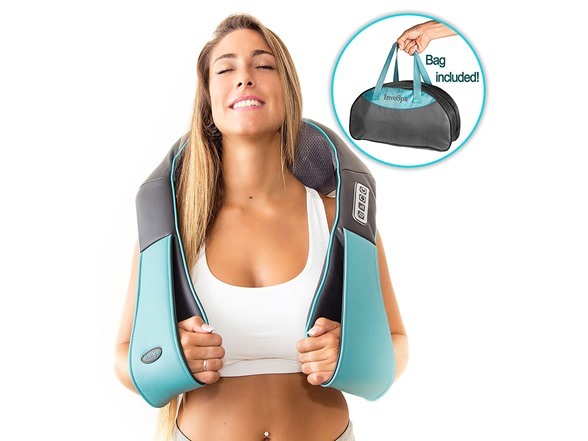 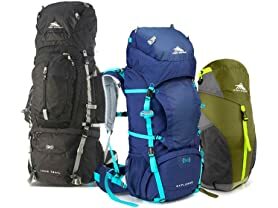 This back massager also comes with a durable carry bag, so you can take it with you anywhere! 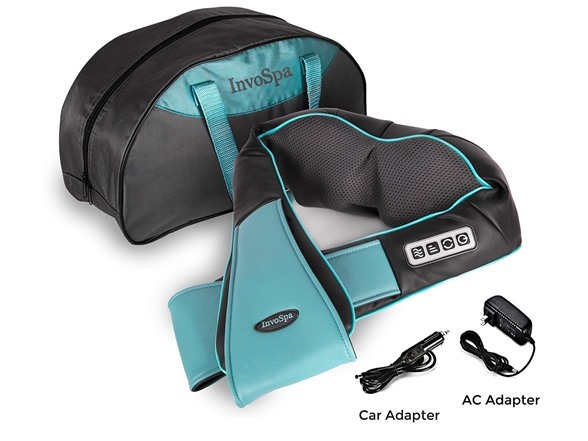 This Shiatsu Kneading massager pillow is the perfect gift for your loved ones!